For this project, the goal was to design a property details page for Redfin that a user would click through to from a search engine. 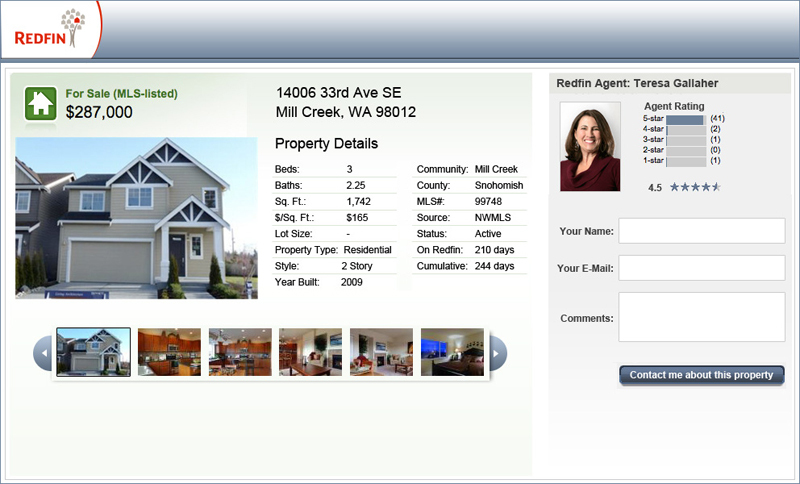 The primary audience for this landing page includes users searching for homes in Mill Creek, WA. The page adopts Redfin's primary branding elements, provides property details, and displays a clear call to action - requesting the users contact information It is important to note that only the most critical elements are included on the page, thus, reducing user distraction. Studies indicate that this practice maximizes click through rates (CTR), resulting in more successful ad campaigns.